Lorena Saenz Gonzalez is a member of the Congressional Families Cancer Prevention Program. 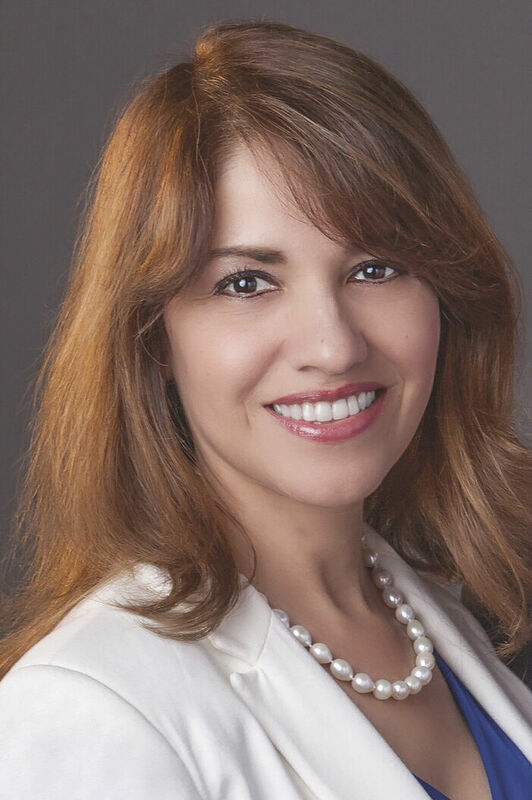 She is wife of U.S. Rep. Vicente Gonzalez, a Democrat who represents McAllen. As the busy fall season revs up, don’t let your health take a backseat. Make a note on your calendar that September is Prostate Cancer Awareness Month, and remind yourself — or the men in your life — about the importance of a healthy prostate. An estimated 161,360 men in the United States will be diagnosed with prostate cancer in 2017. In Texas alone, about 12,500 men will be diagnosed and an estimated 1,650 will die of the disease. Symptoms aren’t common in the early stages of prostate cancer, but as it progresses, you may experience difficulty urinating, weakened or interrupted urine flow, blood in the urine or pain while urinating. If you experience any of these symptoms, schedule a visit with your health care professional immediately. Early detection of prostate cancer can save lives, but testing also has risks. Prostate-Specific Antigen (PSA) blood tests can result in false positives or prompt unnecessary treatment (and subsequent side effects) of cancers that might not have ever advanced. There are also tests that can better distinguish prostate cancers that are likely to be aggressive and those that would likely not cause harm, which can help guide treatment decisions. If you are a man age 50 or older, you should talk to your health care professional about whether the benefits of screening outweigh the risks for you. African-Americans have a much higher rate of prostate cancer than white men and are more than twice as likely to die of the disease. A family history of prostate cancer also puts you at increased risk, as does getting older (you are more likely to develop the disease after age 50). Don’t neglect your health during this hectic time of year. Maintaining a healthy weight, exercising regularly and not smoking can reduce your risk of prostate and other cancers. To learn more about prostate cancer, visit preventcancer.org/prostatecancer. Lorena Saenz Gonzalez is a member of the Prevent Cancer Foundation’s Congressional Families Program and the spouse of U.S. Rep. Vicente Gonzalez (D-McAllen). Statistics provided by the American Cancer Society.